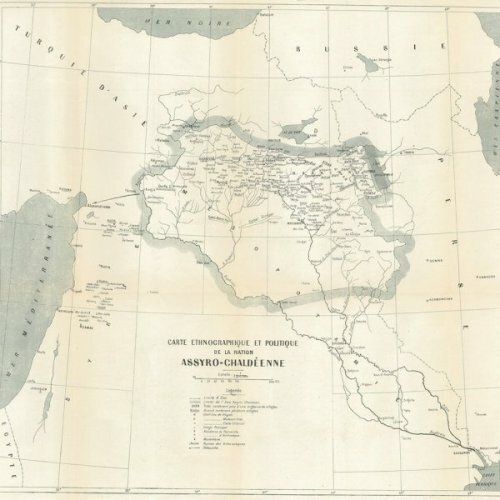 There are fourth claims that the so called Arameans make trying to associate themselves with Mesopotamia (Beth Nahrain), the 1st is Paddan Aram, and the 2nd is Aram Naharaim, and the 3rd is Harran and the 4th is Beth Armaye which they however wrongly call Beth Aramaye. And all those first three claims are based on Biblical references that have nothing to do with archeological findings! 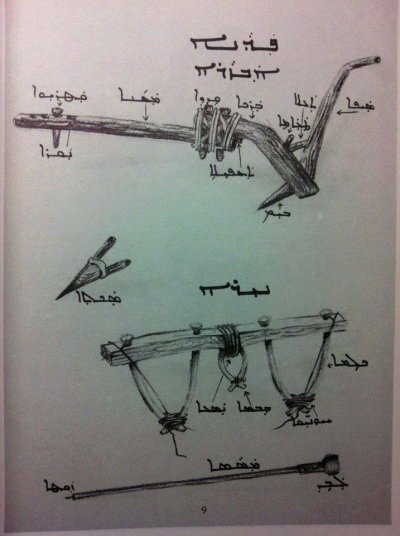 Arameans were Nomad Bedouin tribes that originated from the region located south of the Levant, namely the Syrian Desert, (modern day south Syria, and Jordan), and migrated north, and later some tribes crossed over then east of the Euphrates (from West to East) and filled the vacuum created by the fall of the Hittites, and hence occupying Hittites villages. The key factor to disprove their claims is not showing maps only, but also follow the time sequence to prove that they were somewhere else during a specific period of time! 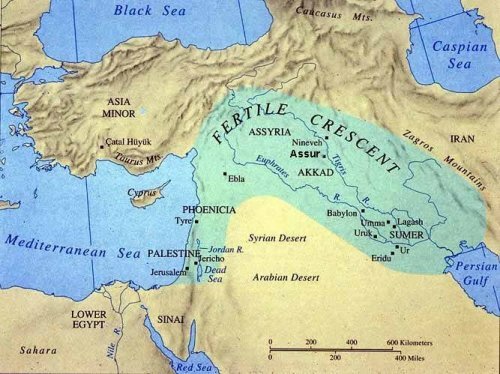 The Arameans base their claim on the story of Abrahams travels in the Bible, which states that Abraham went to Paddan Aram in the region of Harran. Then they claim that Aram Naharaim is in Tur-Abdin! Well, let’s do some simple math and see if their claims are sound or not! Fact #1: Biblical scholars agree that Abraham lived around 2500 BC. 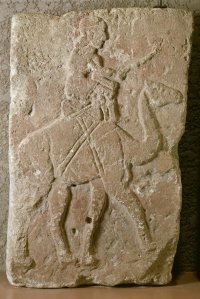 Fact #2: Archeologists findings establish the fact that the earliest Aramean presence in upper Mesopotamia was around 1000-1100 BC. 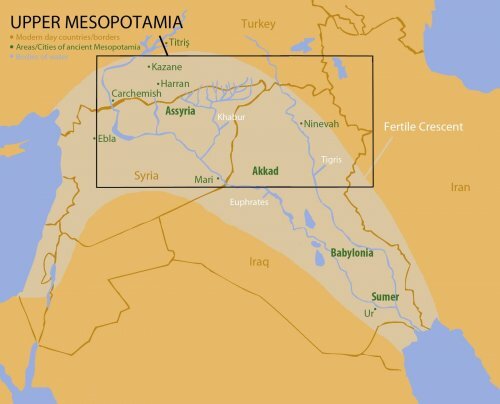 "I crossed the Euphrates twice in a year in search of akhlamu-arameans"
Conclusion: Based on Fact #1 plus Fact #2, there was no Aramean presence in upper Mesopotamia during the lifetime of Abraham or his children. 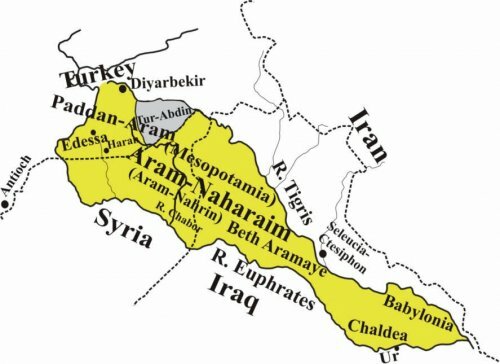 Conclusion #1: Neither Paddan Aram, nor Aram Naharaim existed in upper Mesopotamia during the time of Abraham and his children, since there is around 1300 years difference between the two. Conclusion #2: So either the Bible is right, and the Aramean claims are wrong, or the Aramean claim is right and the Bible is wrong! 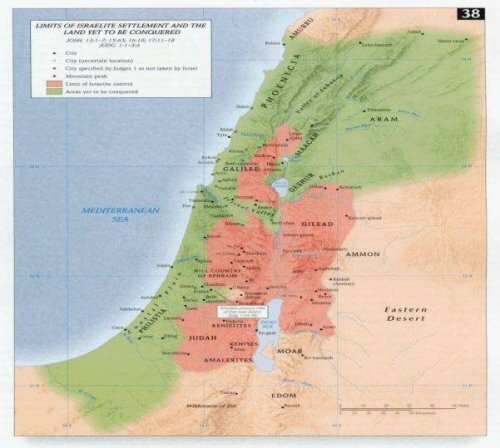 a- If the Bible is right, then Paddan Aram, and Aram Naharaim must be located somewhere outside Mesopotamia, and in a location where Arameans lived during the same period that Abraham lived too, and this places both locations in the Levant region. 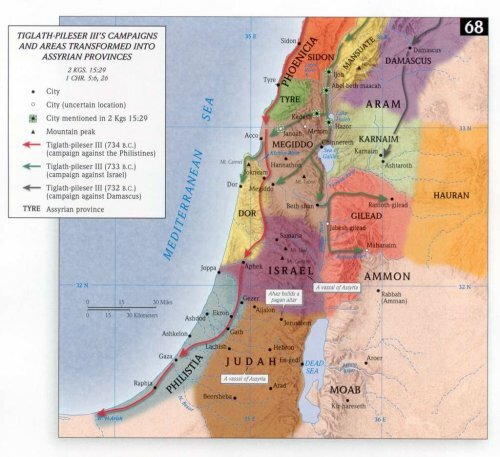 And the most probable location would be either between the Orontes (Assi) River and the Euphrates, or further south between the Jordan River and Euphrates River. But it can never be in Mesopotamia, simply because during 2500 BC there was no Arameans living there. 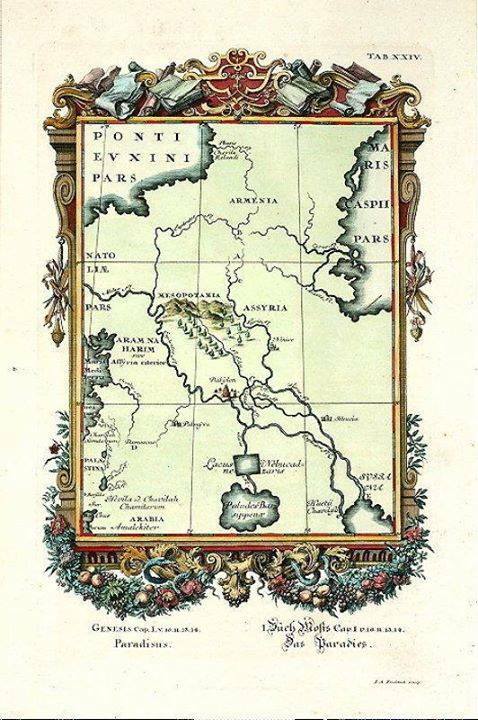 See this map from year 1711 AD and note that Aram-Naharaim is located in west of the Euphrates river in the Levant and not east of the Euphrates river in Mesopotamia (Beth-Nahrain). b- If the Arameans are right and the Bible is wrong, then their whole claim collapses, since they are making their claim based on the Bible. 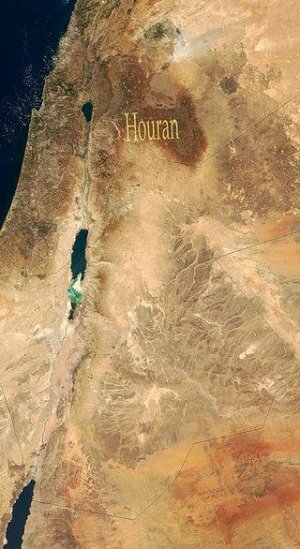 c- As to Harran, one theory and the logical explanation is that it was Houran, and not Harran, (noting that they are both written the same but pronounced differently), and Houran lies to the east of the Golan Heights and Lake Tabaria, see Jabal Houran, and Sahl Houran here. 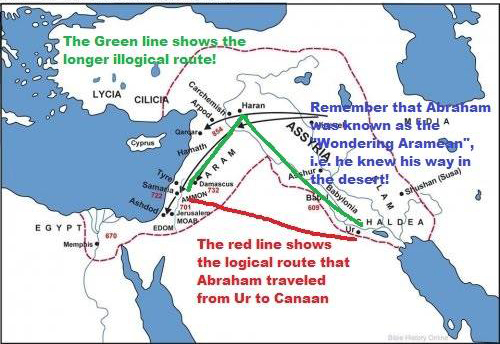 This makes more sense because then Abraham would have moved from Ur straight west, towards the land of Canaan (hence following the shortest distance between Ur and Canaan, and just before entering Canaan he would have to enter Houran. And Houran is historically Aramean land, so in other words this explanation agrees with the Bible since the Houran that the Bible is talking about was Aramean, while Harran (Harranu) in Mesopotamia was Assyrian which was out of the way of Abraham, because he wouldn't have to gone all the way north and then all the way south to reach Canaan. d- As to Paddan Aram, technically Paddan (or Faddan) means the area that a bull plows per day see photo below. In other words it is a small piece of land that can't be compared with the entirety of upper Mesopotamia, or even Tur-Abdin. It simply means a person called Aram owned a plot of land the size of a paddan, and hence the name Paddan Aram. And again it was located outside Mesopotamia. e- As to Beth Armaye or Beth Aramaye which the so called Arameans wrongly call it, according to the Syriac/English/French/Arabic Dictionary by Louis Costaz, he states on page 404 under proper names the following: Beth Armaye = Assyria (Bilad Ashur in Arabic). Which literarily means the highlands (since upper Mesopotamia is made of highlands). It is exactly like calling Scotland as the highlands, and Scots as Highlanders. 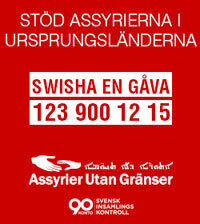 Hence when the term Armaye is mentioned there it means Assyrians and not Arameans. 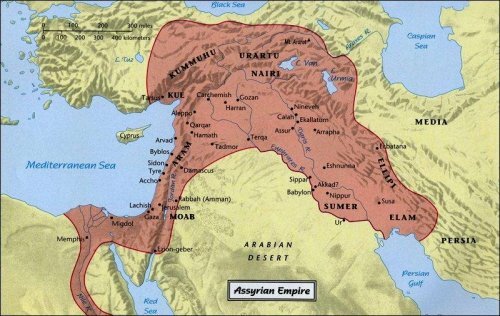 In conclusion, so there you have it, the homeland of Arameans is the Levant, and they have nothing to do with Mesopotamia as I also have explained in my previous articles. 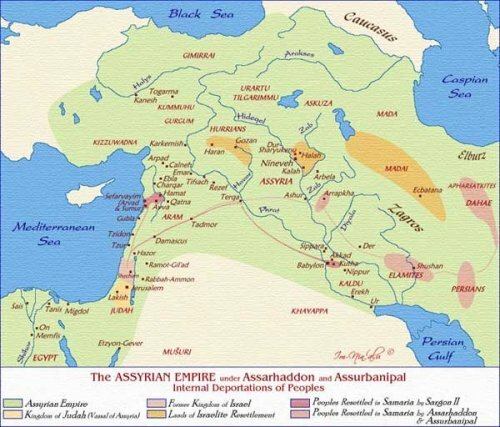 They entered Mesopotamia around 1000-1100 BC as illegal immigrants, and settled in few Hittite villages there for a while, but were later kicked out by the Assyrian king Ashurnasirpal, and archeological findings prove that. 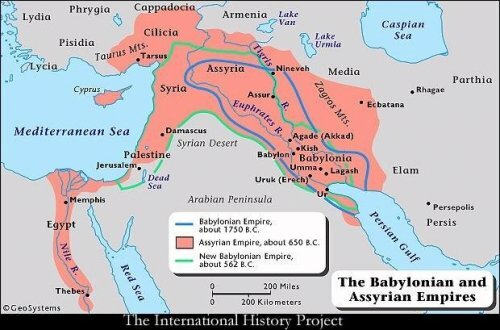 Finally, this is one of the fake maps which the so called Aramean organisations have established in recent time and which they use today to manipulate and brainwash Syriacs (Suryoye/Suryaye) to believe that Mesopotamia (Beth-Nahrain) is Aramean land (Aram-Naharaim, Paddan-Aram, Beth Aramaye) and trying to associate themselves with Mesopotamia. First of all they have located Aram-Naharaim east of the Euphrates river which is wrong as I have explained, then they have changed the name Beth Armaye to Beth Aramaye which is a falsification and finally they have located Paddan-Aram in Mesopotamia rather then outside Mesopotamia. 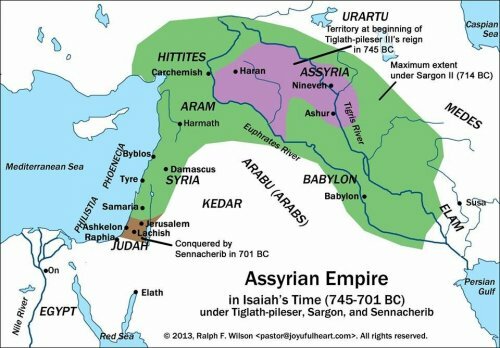 As you also probably have noticed there is no trace left of the Assyrian empire or the Assyrian name on this "map", this is an ongoing Aramean crusade against the Assyrian name see more about this here. 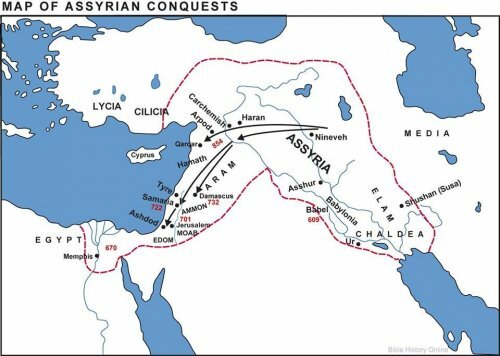 Here is now several maps from historians, note where Assyria and Aram is located, the so called Arameans are ignoring these and are establishing their own "maps".